Support community engagement and education at Playhouse Square with a gift to the Education Fund today. Your gift makes it possible for us to present programs, workshops and field trips of the highest quality at a low cost or for free to participants. Playhouse Square is a not-for-profit performing arts center, so your gift is fully tax-deductible. Do you remember your first trip to the theater? Help Playhouse Square keep that magic alive for future generations! Share your love of the performing arts by making a gift to the Education Fund. $25 - provides Children’s Theater Series activity guides for an entire classroom. $50 - enables ten children to attend a school performance at Playhouse Square. $75 - enables one class to connect to a Playhouse Square distance learning program. $100 - allows an entire class of Cleveland Metropolitan School District students to attend a performance at Playhouse Square. Presenting live children’s theater of the highest quality is an important part of Playhouse Square’s not-for-profit mission. The performing arts enable children to build upon their creativity, imagination, and innovation, helping to create rich connections with others and a lifelong appreciation of cultural experiences. The Community Engagement & Education Department annually presents more than 500 youth theater performances, workshops, classes and events. 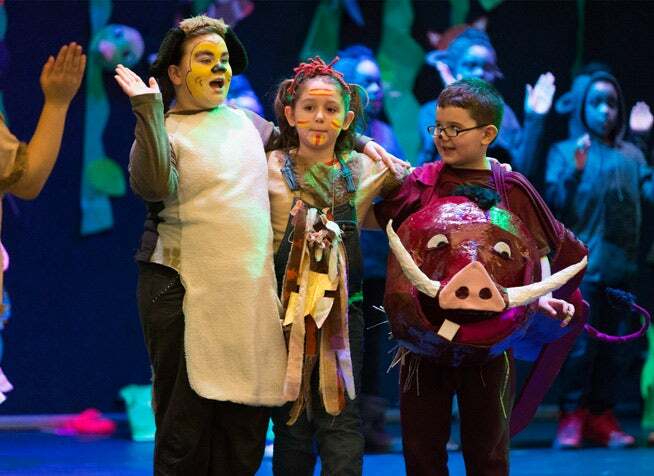 Since its inception in 2004, the Partners in Performance program has made it possible for more than 50,000 Cleveland students to attend a youth theater performance at Playhouse Square. Artist residencies hosted by the Community Engagement & Education Department have connected students with performers from Japan, The Netherlands and South America. The Commmunity Engagement & Education Department presents educational opportunities connected with each Broadway Series show that are free to the community. The Dazzle Awards presented by Pat & John Chapman aim to inspire and honor excellence in high school musical theater, and to recognize the importance of musical theater and arts education within the Northeast Ohio community. Playhouse Square and Disney present a special opportunity to introduce the collaborative art of musical theater to schools. 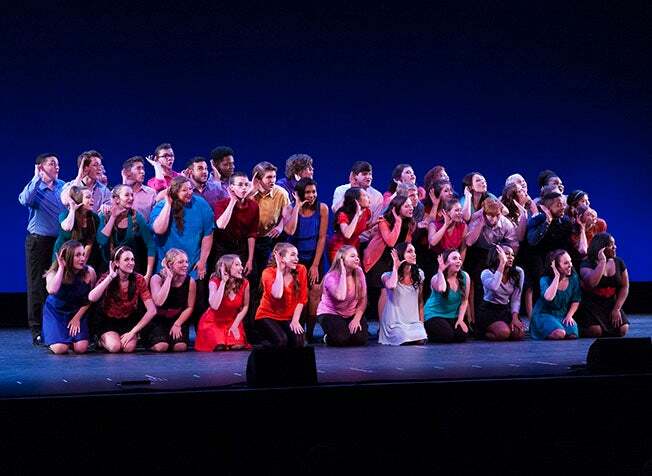 Each year, four schools received a 17-week musical theater residency which culminates in a 30-minute Disney KIDS Musical at the school and a Student Share Performance at Playhouse Square. 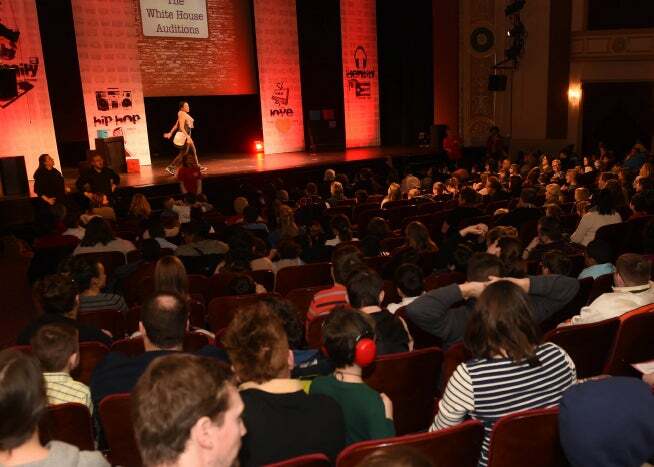 In January 2015, Playhouse Square presented its first ever sensory-friendly performance, Havana Hop. Playhouse Square has continued its commitment to sensory-friendly programming with eight total sensory-friendly performances since 2015. In 2019, Playhouse Square announced it's first Broadway sensory-friendly performance of Disney's The Lion King. The sensory-friendly performance will be on August 31, 2019. Your gift not only will help Playhouse Square continue to enrich the lives of children and adults in our community, but it will also give you the opportunity to honor someone special. Please take this opportunity to support the Education Fund and keep the arts alive in our schools and our community. Give a gift with a lasting impact.